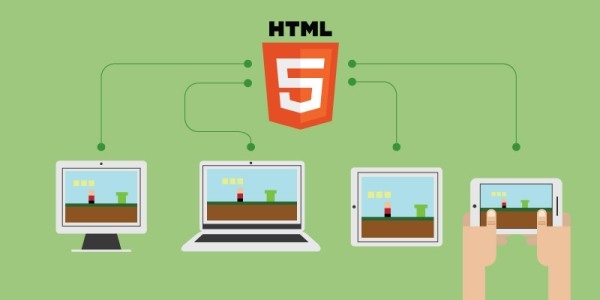 HTML is becoming the most widely used for development of Games. Quality of HTML games is frequently increasing day by day. We can play these HTML games on our iPhones, iPads, Android phones or our desktop computer. With the use of HTML5 we can create 2D as well as 3D games. Some games are built for PC and some are dynamic. Some games can be used with both desktop and mobiles. Ø A framework is built first. Ø Players growth must be saved so that he can resume from the last quitting position. Ø Execution time should be low. Ø Incorporate some advanced features in your games. Basically these games are light weight as well as interesting too. There is no need to download the setup and install in your computer system. Just a browser with working internet connection is enough for playing HTML games. Here is a list of five most interesting games that you can play instantly to refresh your mind. This game will bring you in the Arena where the monsters are coming from three sides and you have to survive them by killing them. You can kill them by throwing different weapons on them which you have. Bigger monsters can multiply them by splitting in to more smaller enemies.There comes a boss of the monsters at some time in the game. Ø It is a very easy and simple PC game. Ø For Graphics, this game uses HTML5 Canvas. Ø This game is a fun top down frame. Ø It is a defender like game. Ø The aim of the game is to survive against the enemies. If you are a racing game lover and don’t want to install heavy games then this is the best alternative. Along with great racing experience, you will also get stunning graphics quality. It is a very addictive game which cannot be ignored after playing at once. From the control panel of game, you can assign the resolution as well as key controls for every move. There is also an option to change the platform according to your device such as desktop or mobile. It is among those HTML games that can directly compete with racing games with setup and graphical requirement. Angry birds is a well known and one of the most addictive game that run on multiple platforms. In this game, there is a angry bird which you have to fling on the buildings and pigs. The idea is that you have to destroy more and more buildings. The more buildings you destroy the more you get the score. 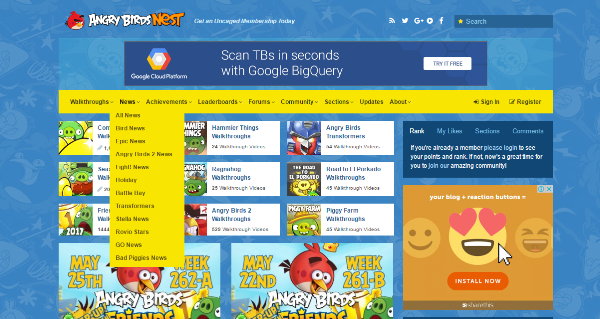 If you want to download Angry Birds on your PC, you can follow the link. Ø It is a physics based game. Ø It uses WebGL for graphics. Ø It has 70 levels and 7 more for chrome only. Ø You can also call it as a puzzler and yes, it costs you nothing. In this game you have to find and collect keys and treasures. You can move anywhere in the maze and enemies are all around the maze. The enemies can be pop up from any part of the maze so you have to take those structures so that you can move forward. The HTML games like dark age are very popular among internet users who don’t want to wast time in searching a free game setup on internet. Ø It is a gauntlet in browser. Ø There are a no of mazes in it. Ø It works on PC only. Ø It has original variety. Ø It is quite decent game that is really easy to learn . This is one of the most interesting as well as amazing games based on HTML. You will never get bored during playing this game. The player will have to go through all the barriers coming in tunnel without collision. Speed of missile is displayed on the lower left side of screen along with map. It is an infinite game in which speed increase automatically along with the journey of player.